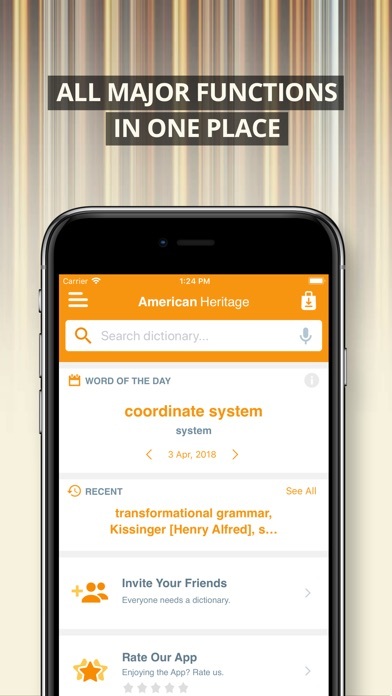 I know this app will help me learn something every time I use it. Thanks for building it! Font bold style and colors need to be re design..
Takes too long to open it. All is find except the slow opening. Hope you guys can fix it and i will change the rate from 2 to 5 stars. 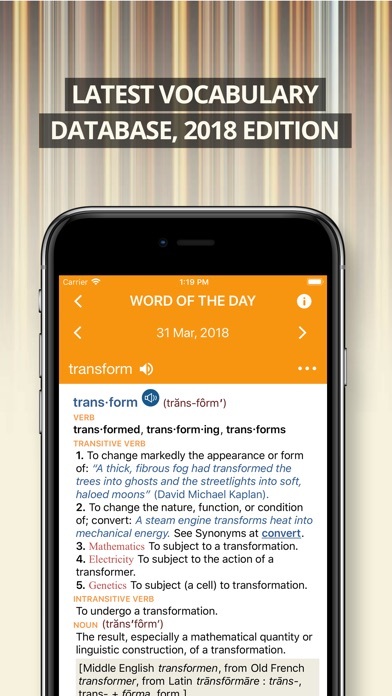 Good dictionary, but the liberal agenda has wormed its way in and can be seen in the choices of usage examples, such as “seized on the notion of gender as a cultural construct” under the definition of “seize” as a phrasal verb. Also, there is no ability to copy text for pasting. 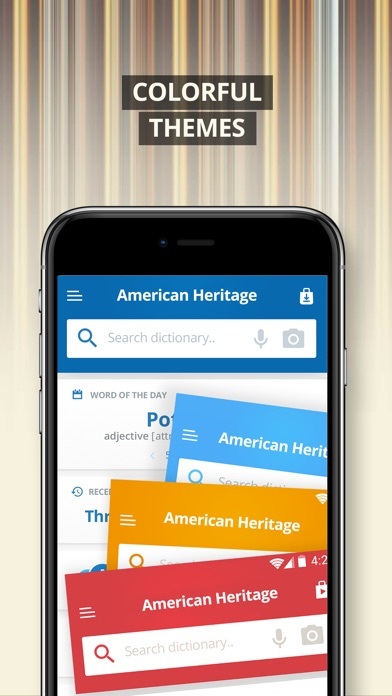 Not a good app compared to Merriam-Webster’s app!!! Very comprehensive and easy to use. Particularly like the pronunciation feature.